Home » Fandoms » New Art for Star Wars: Dark Disciple Prequel Story Revealed! New Art for Star Wars: Dark Disciple Prequel Story Revealed! While we await the July 7th release date for Christie Golden’s Dark Disciple novel, fans can feast their eyes on this stunning piece of art done by Magali Villeneuve for Golden’s short story “Kindred Spirits”. Yep, that is assassin-turned-bounty-hunter Asajj Ventress along with pirate queen Lassa Rhayme. 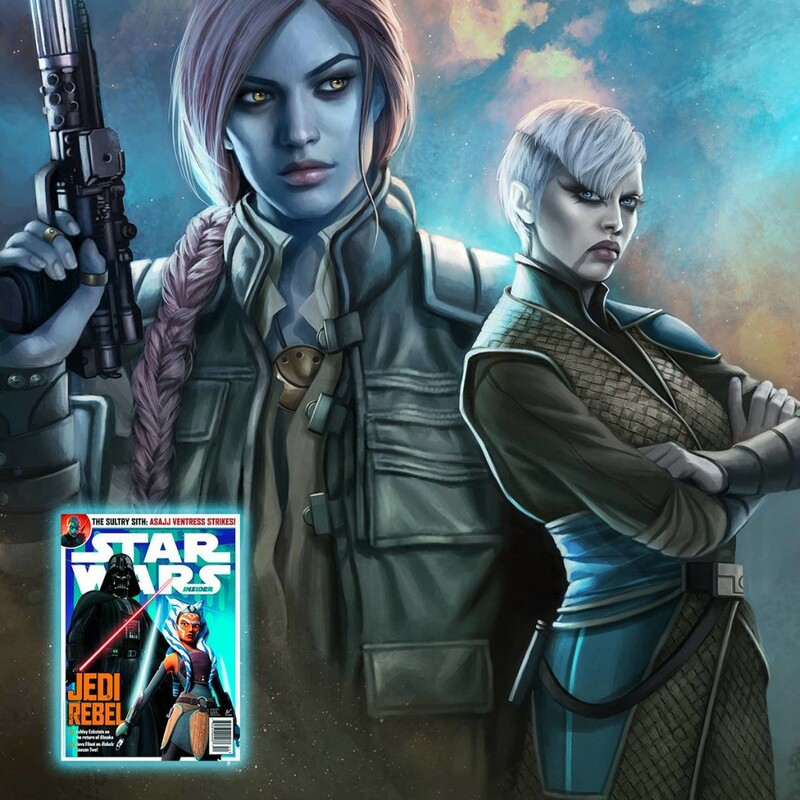 They’d had dealings before the events of Dark Disciple, and “Kindred Spirits” will explore their relationship in the next issue of Star Wars Insider, due out July 21st. Now, when and where can I get this piece as a poster to go on my wall next to my Dark Disciple poster?